Joyous feast! Today we commemorate the falling-asleep of St. Anna (or Hannah), mother of our Lady Mary. It is said that St. Anna, having born the Mother of God in her old age, fell asleep shortly before the Annunciation after having lived seventy-nine years. As the Mother of God is in a sense the mother of the Church, so St. Anna is in a sense the grandmother of the Church and many turn to her for prayer and protection just as they do in life to their earthly grandmothers. 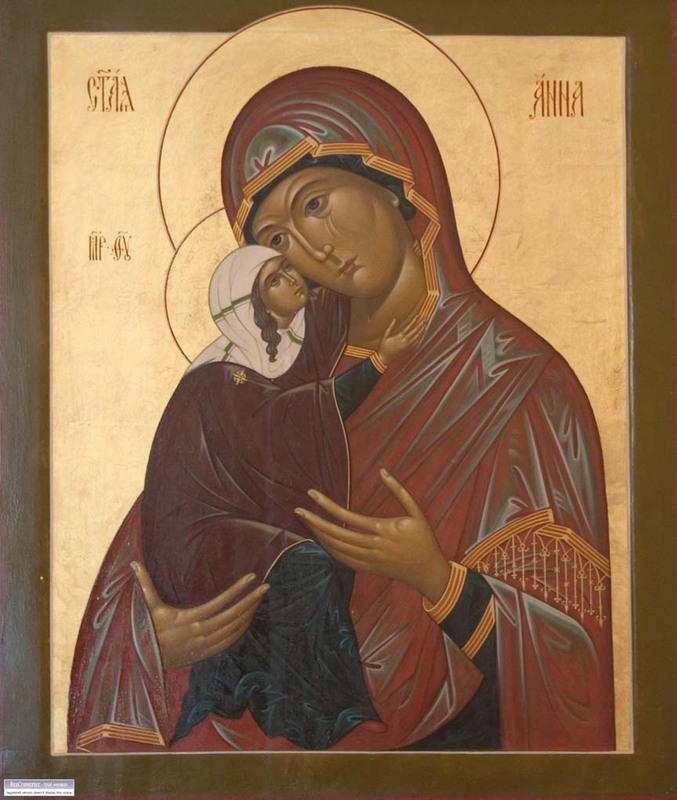 Because of her love for her children St. Anna has been glorified by many miracles, most notably in our times through her weeping icon (pictured), and is the protectress of many cities, among them Detroit. More on St. Anna's life can be found here. May her blessing and prayers be with us all!